Chocolate and mint go together so well. 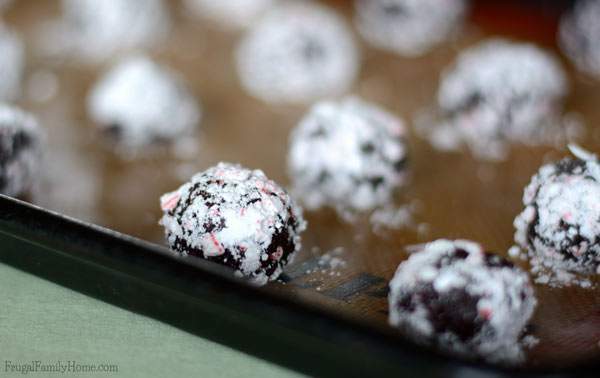 If you agree then these mint twinkle cookies will be ones, you’ll want to bake. A couple of years ago I shared a cookie recipe I call, Debbie cookies. 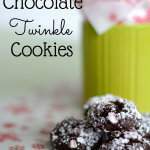 They are chocolate twinkle cookies I make each year, to give at Christmas. I call them Debbie cookies after my cousin who gave me the recipe. She has passed on, but I always have great memories of her when I make these cookies. I love how making a recipe can trigger memories of those you love. I tried something a little different this time. 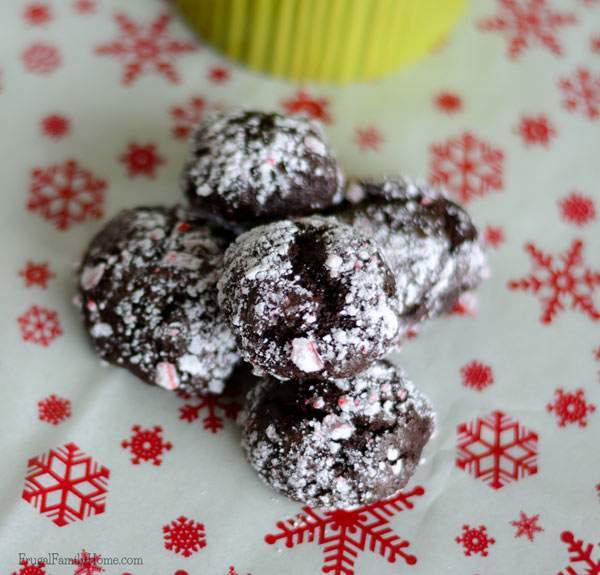 Instead of rolling the dough in plain powder sugar, I rolled them in powdered sugar spiked with powdered candy canes instead. It gave them a boost of mint flavor and a little crunch too. Some of the links below are my referral links. 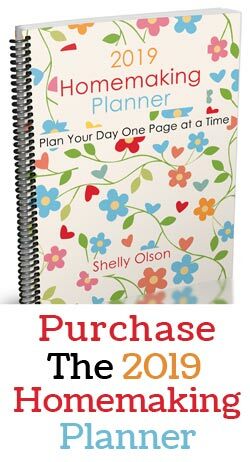 Which means, when you purchase through them I can make a little money at no cost to you. Thanks for your support in this way. See my disclosure policy for more information. Peppermint patties are one of my favorite candies. These cookies are like a peppermint patty in a cookie. They are reversed with the mint on the outside and the chocolate on the inside. Start the day before to make a batch of these yummy cookies. The dough does need time to sit in the refrigerator so the dough can firm up. You don’t want flat runny cookies. You can chill for as little as 4 hours but I like to play it safe and let them chill overnight. You can purchase crushed peppermint candies but I took 15 small candy canes and crushed them. To crush them I left them in the sealed package and used my meat hammer to smash them. It works well and keeps the pieces from flying all over the kitchen. You want some powdered and a few chunks here and there. If you don’t have a meat hammer a rolling pin would work too. Mix the crushed candy canes with the powdered sugar. 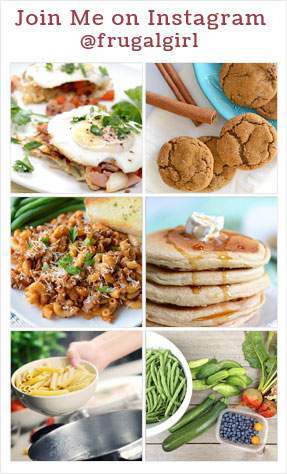 You can use a whisk to mix them well. You’ll need half a cup of crushed candy canes (about 15 small candy canes) and a half cup of powdered sugar to roll the dough balls in. Mix the candy canes and powdered sugar together in the dish. Melt the chocolate squares in a large bowl that can be placed in the microwave. I cut up the chocolate to help it melt more evenly. Add the oil and mix well with a mixer. Add the sugar and mix well again. Add the eggs and mix until well incorporated. Stir in the flour, vanilla, salt and baking powder. 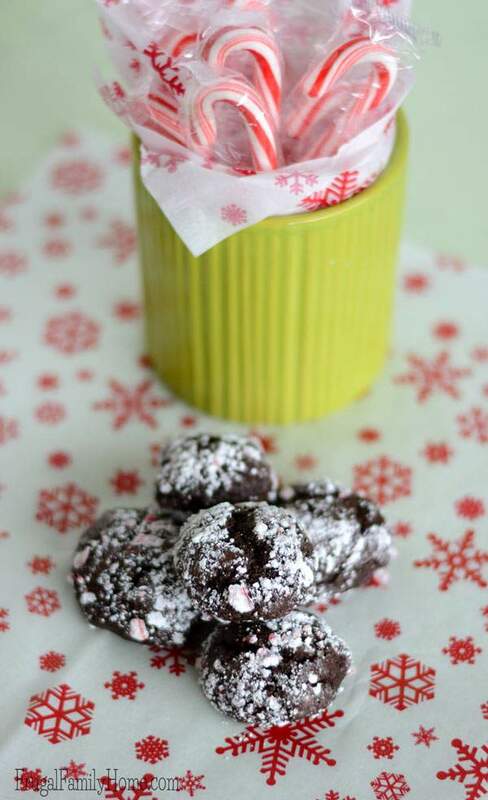 Mix the powdered sugar with the crushed candy canes and place in a shallow dish. Roll the dough balls in the powdered sugar/candy cane mixture to coat. Place on cookie sheet and bake 350 degrees for 10-12 minutes. Be careful not to over bake. Cool on the cookie sheet for a few minutes and then move to a wire rack to finish cooling. If you love chocolate and mint and are looking for a new cookie recipe to try. I’m sure you’ll love these. 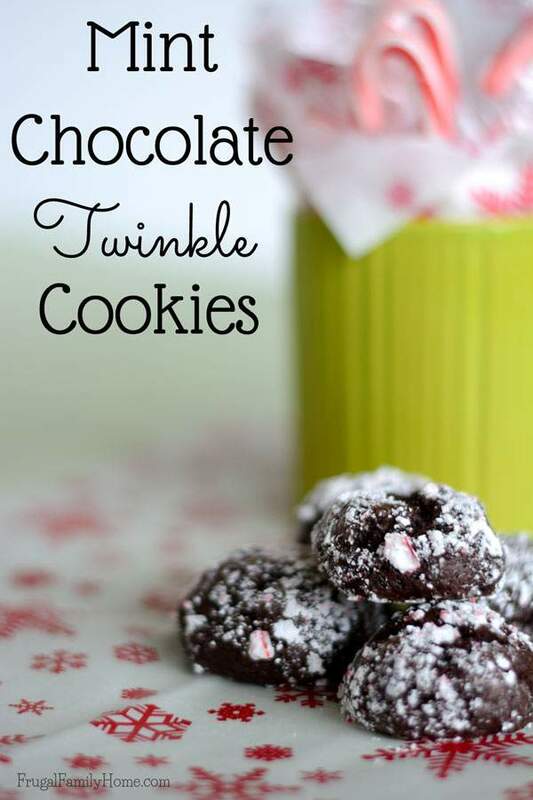 These chocolate twinkle cookies have a little crunch of mint on the outside and yummy chocolate on the inside. Perfect for someone who loves the combination of mint and chocolate. What’s your favorite cookie to make at Christmas time? Does making them trigger special memories for you?